Or as another tutor put it: ‘We want you to be different, but not TOO different.’ In fact, this was something tutors said they specifically didn't want to see in a personal statement. 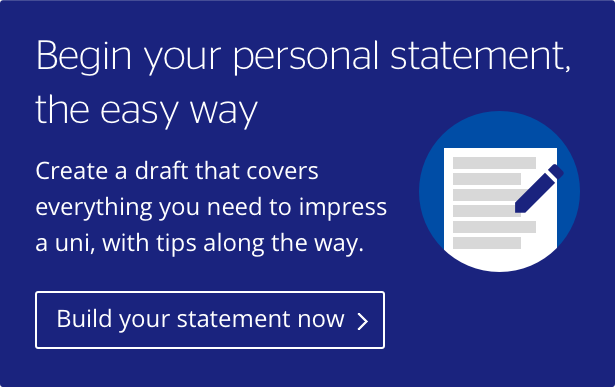 Starting to write your personal statement but not sure where to even begin? It happens. But introducing why exactly you want to apply for the course and what you can bring will give your statement some clout right from the off. You want your personal statement to be easy to read. Think of it like you would any essay – don't write in one big block of text, not in long, meandering sentences. Remember, this is a personal statement. It has to reflect your opinions, personality and reasons for choosing the course. Why should admissions tutors choose you? Telling them is one thing, but showing them the reasons behind it is better. You’re an interesting person, so why shouldn’t your personal statement be interesting too? If you’ve written something that you don’t think you really mean, or isn’t in your own words, it’ll be more obvious than you think. It sounds obvious, but it’s worth reiterating. What is it that attracts you to the subject? A real interest and passion will shine through. 8. Why should we give you a place on the course? Every admissions tutor will be looking to answer this question. So, of course, personality, as we’ve mentioned, is important., But be careful of adding in superfluous content. Does your admissions tutor really need to know you play football every week? Unless it’s relevant, don’t include it. What else have you been doing apart from studying your subject? Anything that shows what else you’ve done to further your interest and knowledge of your subject is good. Work experience is a great way to demonstrate an understanding of your subject beyond the classroom. Did your work experience give you hands-on experience that really excited you about the subject? Talk about it! Yes, you may have got your ABCs sorted a while ago, but this ABC rule will help you out now… keep in mind, and it will help keep your statement structured and useful. Learn more about the ABC rule in our guide to writing your personal statement.